Are you an Alaska Native or American Indian student pursuing a degree in education? Will you graduate with your certification by May 2011? The ANTP Project is a grant project through the Office of Indian Education providing student support, tuition and fee payment, possible living stipends, mentoring, and induction services to qualified applicants. For more information, see the flyer listed below. In 1988, The Robert Wood Johnson Foundation established the Minority Medical Education Program (MMEP) to increase the number of highly qualified medical school applicants from minority groups that were underrepresented in medicine—primarily African Americans, Hispanics, and American Indians. MMEP supported six medical schools in offering a free, six-week medical school preparatory program. The Association of American Medical Colleges assumed the role of National Program Office for MMEP in 1993. Over the years, MMEP’s intensive academic preparation program expanded to 11 campuses. In addition, the program broadened its initial focus on specific minority groups to include students who were from rural areas, economically disadvantaged, and came from groups that have historically received substandard health care regardless of their racial or ethnic background. In 2003, the program changed its name to the Summer Medical Education Program (SMEP), reflecting the inclusion of students representing a wide range of economic, cultural, racial, and ethnic diversity. The new Summer Medical and Dental Education Program (SMDEP) builds on the lessons learned from those earlier programs. It is now expanding to include pre-dental students who face challenges similar to those of pre-medical students, and it focuses on students in the first two years of their college education because the experience of previous programs indicates that this is when students derive the most benefit. Deadline to apply: March 1, 2010. For more information on how to apply go to http://www.smdep.org/start.htm. PLSI is an intensive two-month program which prepares American Indian and Alaska Native individuals for the rigors of law school by essentially replicating the first semester of law school. Likened to boot camp by many former participants, the PLSI concentrates its content into eight weeks of instruction, research and study, teaching students the unique methods of law school research, analysis, and writing. The success of the PLSI in providing a nationally respected pre-law orientation can be traced to its original and continuing intent — that it be based on sound legal education principles, and not function as a philosophical, political, or cultural training ground. For more than two decades, the Law Center has remained dedicated to providing valid training in the skills required for the study of law. Dates & Deadlines: Following are the deadlines and other important PLSI dates. Please note that the deadline dates given are dates that the documents must be received by the PLSI, not the postmark dates. You may fax documents (except for transcripts) in order to meet any deadline, but we must receive the hard copies prior to the start of the Institute. Because the PLSI is funded on a year-to-year basis, the dates and deadlines given are contingent on money being available for the program. For more information, visit http://www.ailc-inc.org/PLSI.htm. The writing competition was designed to tap the wisdom and ingenuity of Native communities, and encourage Native thinkers to go public with their perspectives on the current economic and political landscape. The winners were announced at the Alaska Federation of Natives 2009 annual convention, and the seven winning essays, including Ralston’s, are posted at www.nativeinsight.org. 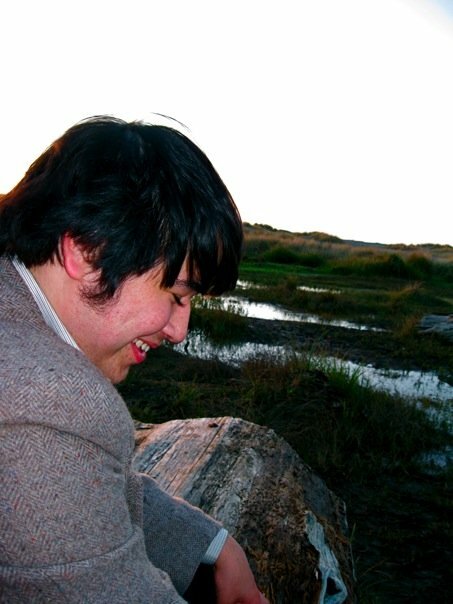 Ralston, who is originally from Juneau, Alaska, currently resides in Arcata, California, where he is studying English/writing practices at Humboldt State University. After graduating in spring 2010, Ralston plans to attend graduate school and is interested in studying rhetoric and composition. In the future, Ralston hopes to obtain a master’s of teaching writing degree. After receiving the degree, he would like to teach composition at the community college-level and get involved in a college writing center. Eventually, he said he would love to be a writing center director. Ralston said the Doyon Foundation has rewarded his hard work and focused study with generous scholarships. “In addition, Doyon Foundation referred me to the Native Insight essay competition, which I won for $10,000. This financial security has allowed me to concentrate on my education. For this, I cannot thank the Doyon Foundation enough,” said Ralston, who is the son of Bill and Laura Ralston of Juneau, Alaska, and the grandson of Justin and Marianne Patsy from Nulato, Alaska. The United State Department of Justice’s management offices, litigating divisions and offices, legal and policy offices, and investigatory and law enforcement offices offer internship opportunities to undergraduates, graduates, and law students. See the links at http://www.justice.gov/06employment/06-3.html for detailed information about these programs. The Center for National Policy (CNP) offers full-time and part-time unpaid internships for talented undergraduate students and recent graduates, typically for the duration of a semester. As an intern, your work will involve providing research and logistical assistance to CNP’s programs. Current and planned projects address the national, economic, and regional security challenges facing the country today. Interns work directly with CNP staff and are exposed to the workings of the Washington policy process. General responsibilities include attending Hill briefings, attending speaking events, giving weekly oral presentations on various research topics to interns and staff, and writing a 15-20 page research paper. Candidates should have strong analytical ability in addition to excellent writing, computer, and organizational skills. Background preferred in political science, economics, history, international relations or similar field. Interns are expected to devote approximately 15-20 hours per week during the school year and schedules are flexible. Resumes are kept on file for a six-month period and will be submitted for consideration each time a position becomes available. Internships are available on a for-credit basis during the academic year. Applications will be accepted on a rolling basis for winter, spring, summer and fall internship positions. If interested, please email your résumé, cover letter, and 2-3 page writing sample to Special Assistant to the President, Chere’ Maxwell. All relevant information should be attached as Microsoft Word documents. Incomplete applications will not be considered. For more information, go to http://www.cnponline.org. The Washington Center’s Alaska Native/American Indian Initiative prepares Native students from colleges and universities across the country to assume leadership positions in the public sector. Students participate in internships tailored to their interests, interact with successful government representatives, and develop leadership skills. The Washington Center partners with tribal colleges and tribal nations across the country to identify and recruit top students. Initiative Goals are to encourage Alaska Natives/American Indians to consider an internship and possible career with the federal government, identify and acquaint students with positive Native role models, help students define personal, academic and professional goals, and integrate academic theory with professional experience for a deeper understanding of public policy formation and students’ roles in that process, engage Native students in professional networking opportunities and encourage students to contribute to society through service. Application Requirements are: be an enrolled member of a federally or state recognized tribe to qualify for the program, specify interest in this initiative on The Washington Center’s general application, submit an application by the proper deadline, applications are welcome after that date, but will be processed on a space-available basis, students are placed in federal agencies and receive a full scholarship to cover the program and housing fees as well as a weekly stipend. Students are officially accepted into the program under this initiative only when an offer from an agency has been received and accepted. Students who wish to intern outside of the federal government or who are not offered a position through this initiative may still be accepted in the general Washington Center program. However, program and housing fees apply. If you are interested the Alaska Native/American Indian Initiative, please contact Danielle Mahan at Danielle.Mahan@twc.edu by phone at 202-238-7967.